Meet the overly optimistic visually challenged man who has taken life head-on literally. Many people would consider moving into a large city to start a new job daunting and probably even cower from it but that was not so for an overly determined Andy Howard from Sulgrave Road, Hammersmith. Andy moved a year ago from Bath his hometown and into the large city London to start a job as a piano tuner. As a child, he was diagnosed with clinical blindness and has lived with the condition all his life. Navigating London at times is frustrating for people with sight but Andy claims that he enjoys the remarkable transport system in London. He says that travelling by train is very easy for him and it is the means of transport that he uses to move around the city when he is going to work on people’s pianos. He only sings unending praises for the transport system that he says is well coordinated and the staff who work for it. He says the trains are very well placed to accommodate the needs for visually impaired individuals. This is due to the audio messages announcing every stop or any other important announcement. He gladly tells of how the attendants on the train help him up the platform and into the train and help him alight when he gets to his destination. The 46 year old says that another thing that aids his movement from one place to another is his smartphone. He tells us of the audio setup that he uses to set up his GPS to guide him to and from the places he has to work. The device reads out messages, emails and calls to him and he can send them in the same way. Andy is a man determined to make a living despite the challenges that plague his efforts on a daily basis. He is happy with what he does and hopes to get more in the future. 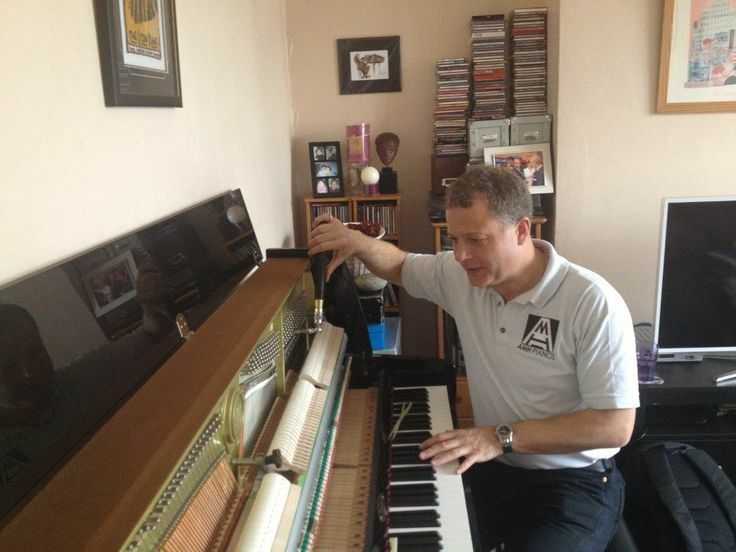 If you want to know more about this wonderful man or have a piano that needs some care, visit https://www.tuningpianos.co.uk. Hurry today.